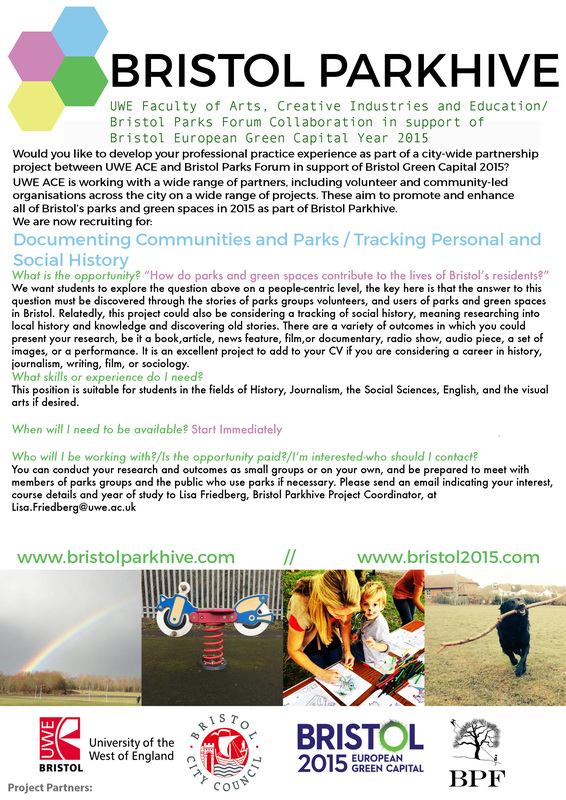 The key here is that the answer to this question must be discovered through the stories of parks groups volunteers, and users of parks and green spaces in Bristol. Relatedly, this project could also be considering a tracking of social history, meaning researching into local history and knowledge and discovering old stories. The end result could be a book or article, a news feature, a video, film or documentary, radio show, audio piece, a set of images, or a performance. Suited for: This position is suitable for students in the fields of History, Journalism, the social sciences, and English, and the visual arts if desired. It is an excellent project to add to your CV if you are considering a career in history, journalism, writing, film, or sociology.